Have a Private Island Overnight Experience in Aruba: Renaissance Aruba’s new Lover’s Island Overnight package turns a 40-acre private island into a couple’s paradise. ORANJESTAD, Aruba, Dec. 12, 2018 /PRNewswire/ -- Experience the ideal paradise wedding or honeymoon with Divi & Tamarijn Aruba All Inclusives Wedding and Honeymoon packages. Couples will find an array of packages that can be customized to suit their every desire and exceed their expectations. As the perfect location for their Destination Wedding and/or Honeymoon, the properties offer beachfront venue options, luxury accommodations and a well trained staff that can be entrusted to create that once-in-a-lifetime experience. You’ve worked hard all year, and now it’s time to unwind! 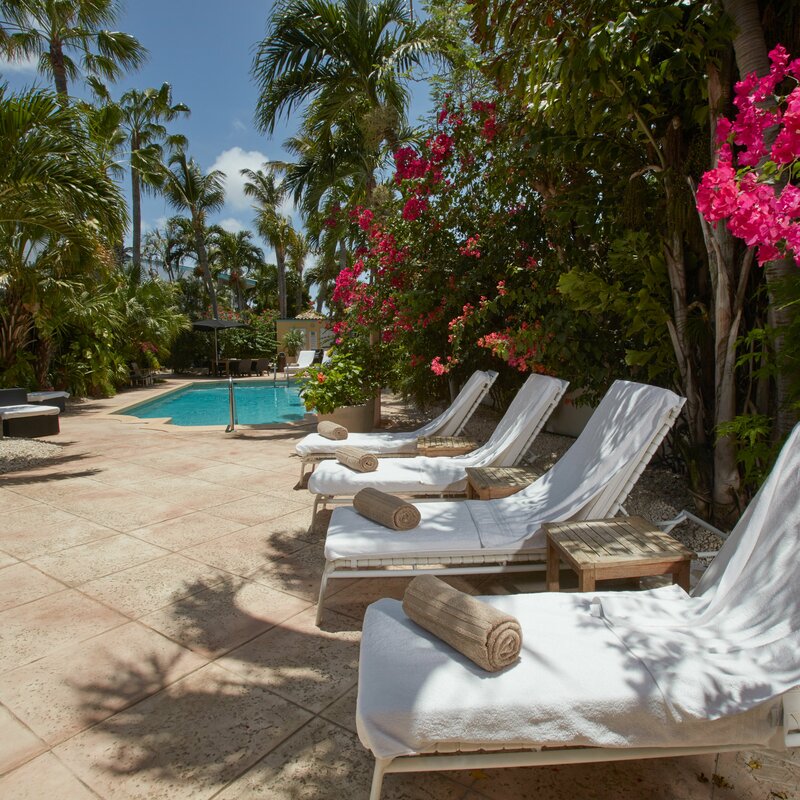 Aruba luxury vacations are the best way to feel like royalty while traveling, as we have it all right here on the One happy island. Romance in Paradise! Are you celebrating a Honeymoon, Anniversary or just feeling festive? Upon arrival: champagne on ice decorated with tropical flowers. Morning after arrival: champagne breakfast for 2. Anytime during stay: relaxing in-room couples massage. Happening August 22, 2018, the Aruba Tourism Authority's Vow Renewal 2.0 Ceremony provides everything you need to renew your I do’s at no cost to you! CHAPEL HILL, N.C. (PRWEB) MAY 24, 2018- Divi Resorts is thrilled to join the Aruba Tourism Authority as they host hundreds of couples from around the world for the Caribbean’s largest vow renewal celebration on Aruba, August 22, 2018. Travelers on the hunt for a romantic destination to renew their vows need look no further than Divi Resorts on Aruba, offering special “Renew Your I Do” packages with rates as low as $1,327 for five nights and $1,799 for seven nights. Plus, couples who book a special “Renew Your I Do” package at Divi Resorts will receive complimentary breakfast for two, welcome turn-down service and an intimate dinner for two at one of our upscale restaurants. Or guests can also book the all-inclusive package, where they’ll receive all of the above plus unlimited food, drinks and non-motorized water sports at one convenient price point. ORANJESTAD, Aruba, May 18, 2018 /PRNewswire/ -- The romantic island of Aruba is gearing up to host the Caribbean's largest vow renewal celebration, for the second year in a row, inviting lovebirds from around the globe to "Renew their I Do's" this summer on the world's No. 4 beach, as ranked by TripAdvisor. As Aruba's sun sets on Eagle Beach, Wednesday, Aug. 22, couples will celebrate their love during Romance Awareness Month on the One happy island. The enchanting evening will display twinkling lights, tropical décor and passionate ambiance – inspired by real destination weddings in Aruba. Couples are encouraged to bring their families and friends in celebration of this amorous occasion, memorializing their love in the romantic destination of Aruba. Participants will enjoy a complimentary ceremony with champagne, hors d'oeuvres and local music. ORANJESTAD, ARUBA - (December 14, 2017) - Whether its walking down the aisle, or hand in hand down a mile-long stretch of powdery white sand, the Divi & Tamarijn Aruba All Inclusives offers an assortment of wedding and honeymoon packages tailored to fit every bride and groom's needs. Perfectly suited for destination weddings and honeymoons, the properties offer beachfront venue locations, luxury accommodations and picturesque backdrops. Newlyweds celebrating their honeymoon will also say "I Do" to Divi & Tamarijn Aruba savings, receiving a complimentary Honeymoon Package including an upgrade to an Oceanview or Poolview at Divi Aruba or Oceanfront room at Tamarijn Aruba. The Honeymoon Package also includes a candlelight dinner for two, complimentary bottle of champagne, free night first anniversary certificate and remembrance gift. 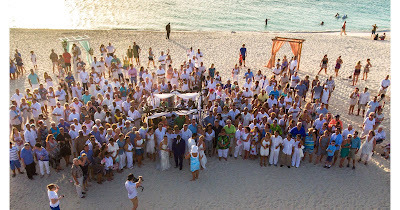 160 Couples “renewed their I Do’s” at sunset on Eagle Beach, Aruba, Aug. 8. ORANJESTAD, Aruba, Aug. 8, 2017/PRNewswire/ -- As the sun set on the romantic island of Aruba, Tuesday, Aug. 8, hundreds of lovebirds gathered on the world-famous Eagle Beach to simultaneously renew their I Do's. The chic evening attracted 160+ couples and guests from around the globe – eager to participate in the Caribbean's largest vow renewal ceremony. ORANJESTAD, Aruba, July 13, 2017 /PRNewswire/ -- The romantic island of Aruba invites lovebirds to "Renew their I Do's" this summer on the world's No. 3 beach. 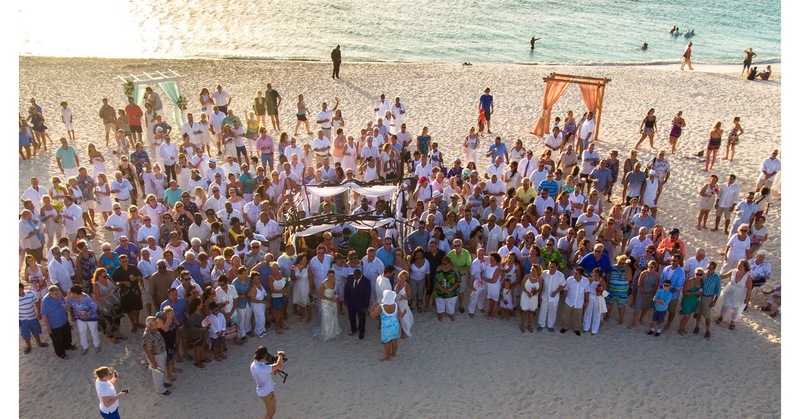 As Aruba's sun sets on Eagle Beach, Tuesday, Aug. 8, couples from around the globe will celebrate their love during the Caribbean's largest vow renewal ceremony. The event's chic ambiance and décor will be inspired by real destination weddings in Aruba, and couples are encouraged to embrace their inner bride and groom – donning white attire with pops of Caribbean color. Participants will enjoy a complimentary ceremony with champagne, hors d'oeuvres and local music. 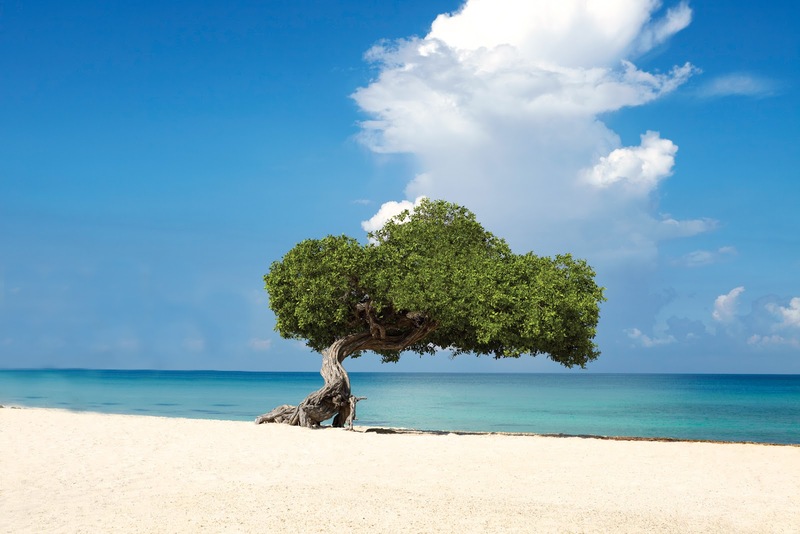 "From the Empire State Building to Times Square, Aruba has brought its world-famous love and happiness to some of the most iconic U.S. locations in recent years," said Ronella Tjin Asjoe-Croes, CEO of the Aruba Tourism Authority. "This year, Aruba is pleased to share romance and warmth at Eagle Beach, one of the most beloved spots on our One happy island." 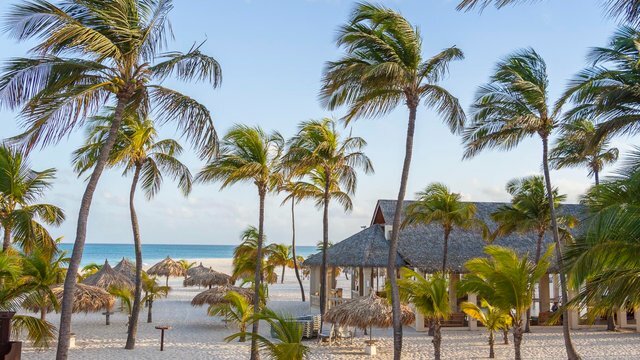 A true destination-wide initiative, more than 10 hoteliers are offering vacation specials to those who choose to Renew Their I Do's in Aruba this August. ORANJESTAD, ARUBA - (December 2, 2016) - Weddings and honeymoons are important milestones in a couple's life, and with this in mind, The Divi & Tamarijn Aruba All Inclusives are offering an array of packages that will create a once in a lifetime destination wedding and honeymoon. The packages are designed to ensure a stress-free experience and to help launch the happy couple into wedded bliss. Brides- and grooms-to-be that dream of a fairytale wedding and saying "I Do" with a backdrop of the Caribbean Sea or picture perfect sunset, or spending their honeymoon relaxing on the pristine white sands of Divi Aruba's beach, can make their dreams a reality with any of the packages. 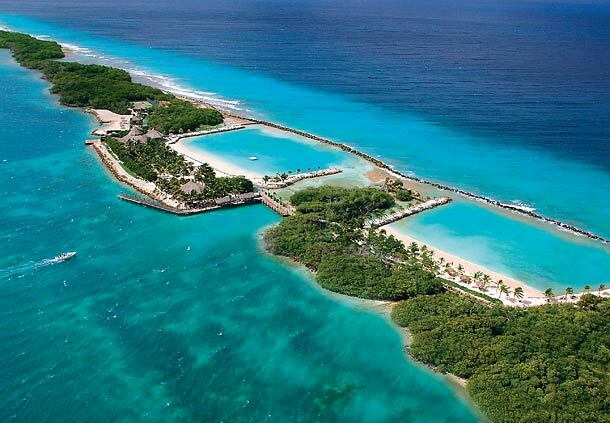 ORANJESTAD, ARUBA - (December 21, 2015) - With a mile-long white sandy beach and turquoise waters, the Divi & Tamarijn Aruba All Inclusives are the perfect locations for couples to begin their happily ever after. For the future Mr. and Mrs. looking to plan an overseas celebration of love, or who want a magical setting for their honeymoon, the Divi & Tamarijn Aruba offer an array of wedding and honeymoon packages. 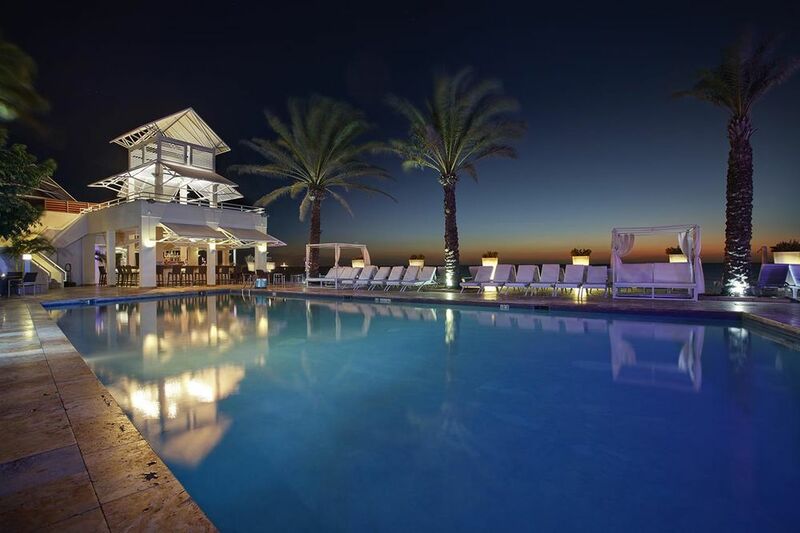 PHILADELPHIA, PA (March 30, 2015) — Apple Leisure Group® subsidiary, AMResorts®, has announced its fifth hotel in the first quarter of 2015 with the signing of Zoëtry® Isla Di Oro Aruba. The contract brings AMResorts’ award-winning brand Zoëtry Wellness & Spa Resorts to Aruba for the first time and expands Apple Leisure Group’s rapidly growing footprint to its eighth country.